Current demands for a new London concert hall with 'state of the art' sound need to be put into perspective. One critic recently tweeted "Harder and harder to tolerate the acoustic at the Barbican. Did anyone hear the B[avarian] R[adio] S[ymphony O[rchestra] cellos tonight? 'Cos I didn't." Yes, the three main London concert venues, the Barbican, Festival and Albert Halls suffer from compromised sound. But how compromised is that sound in orders of magnitude? To help answer that question I am proposing a model comparing concert hall and hi-fi sound. This comparison has validity both because recorded sound is now the dominant way music is consumed, and because the critics demonising the sound of London concert halls also review recorded music using hi-fi systems. Stereophile magazine under the inspired editorship of John Atkinson has for decades provided an objective guide to recorded sound quality. Stereophile publishes an annual listing of the top 500 recommended audio components. Each category is divided into five classes A to E. The following table shows the parameter for inclusion in each class, and the highest priced full-range loudspeakers in each of those classes for the 2017 rankings. Class E: Entry-level products - Dayton Audio B652, a snip at $39.80 per pair. During my career with the BBC, EMI and elsewhere I was fortunate to share the privilege that music critics enjoy of hearing great orchestras in the world's finest concert halls from the best seats with someone else picking up the tab. This experience allows me to compile an admittedly subjective but nevertheless useful ranking of concert halls using the Stereophile classes. 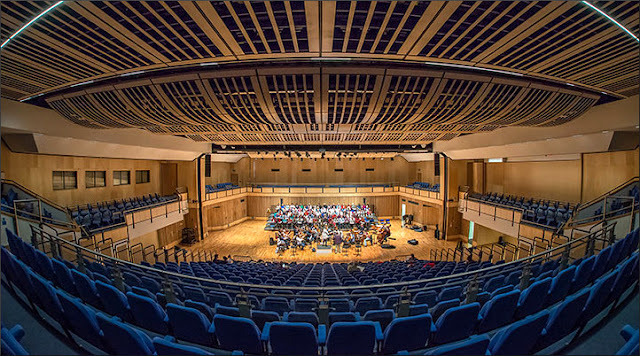 So my ranking places Snape Maltings and Symphony Hall, Birmingham in Class A, the Barbican and Festival Hall towards the lower end of Class B, and the Albert Hall in Class D. Class A - best attainable sound - is undoubtedly the level aspired to both in concert halls and audiophile systems. But the prices quoted above in the Stereophile rankings are for a pair of full-range loudspeakers, not complete audio systems. 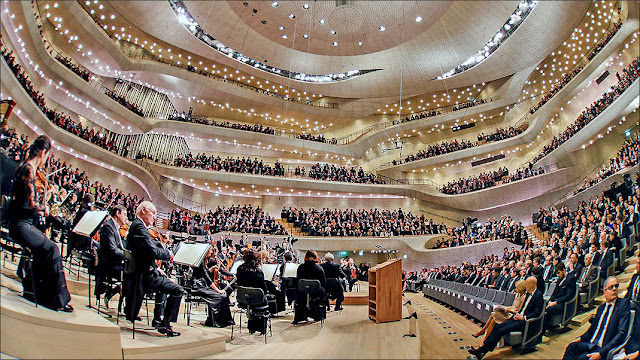 As a rough guide, an audio system using average Class A components costs around $50k, a Class B system $30k and so on, while building the arguably Class A sound Elbphilharmonie concert hall seen above cost €860 million ($1025m). So Class A sound is a laudable but very expensive aspiration both for live and recorded music. Which brings me to a crucial point. The critics currently demonising the sound of London's concert halls also review classical recordings for the Gramophone and other publications. So if Class A sound is a sine qua non for appreciating classical music do they use Class A audio systems for their reviewing to make sure the cellos are reproduced faithfully? Both my pragmatic experience and common sense tells me they do not use $50k systems for reviewing. So if critics are not using Class A audio systems for reviewing are they not guilty of double standards? Knocking London concert halls has become just another silly social media meme. Despite decades of compromised sound classical music survives very well in London because music is remarkably resilient. The brain's miraculous psychoacoustic compensation abilities mean that some of the content can be stripped out without destroying the music's essence - MP3 and other lossy formats depend on this. Sonic excellence is a laudable goal. But classical music can and will survive despite compromised concert halls and compromised audio systems. Like Class A audio systems, acoustically perfect concert halls and are a 'very nice to have' but not a 'must have'. Which means my personal 'desert island' concert performances spans Class A halls, eg. Colin Davis' Elgar 1 at Snape, through Class D, Bruno Maderna's Mahler 9 in the Albert Hall, to sub-Class E, Olivier Holt's Mozart Requiem in a Moroccan school sports hall. There is a fine dividing line between acoustic excellence and acoustic elitism, and current demands for a new London hall are now crossing that sensitive dividing line. It is a paradox of our times that most people involved in classical music consider paying £38k for a Class A audio system an elitist extravagance, but consider paying £278 million plus for a new London concert hall an absolute necessity. Elitism comes in different guises. London orchestras, London venues and London critics already exert far too much influence over music in Britain. As an example Norwich, near where I live, has a thriving music culture that includes commissioning and premiering Britten's Our Hunting Fathers. But its principal concert venue barely scrapes into Category E for sound quality. 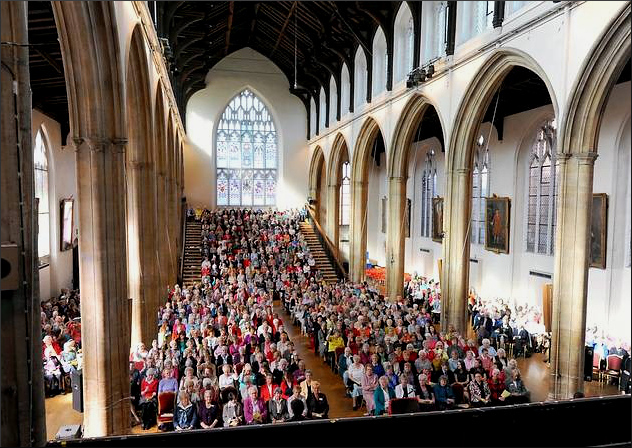 The problem with the St Andrew's Hall in Norwich - see photo above - is not that you can't hear the cellos. It is that sometimes you can't hear any music at all because of the traffic noise. Many, many vibrant urban centres outside London would give their eye-teeth for the Barbican, sonic deficiencies and all. Let's hope Simon Rattle brings the LSO to St Andrew's Hall, because he will never complain about the Barbican again. If the budget really is available and portable, the money should not be used for a new London hall; instead it should be spent on seeding the regions with clones of the acoustically and artistically outstanding Saffron Hall - see photo below - which cost a mere £10 million ($13 m) to build. Just do the maths: the purported £278 million cost of the new London concert hall, which will undoubtedly be exceeded by a considerable margin, would build more than 25 Saffron Halls in towns currently lacking a viable classical music venue. For me at least, the choice between mellow cellos in London and reaching out to a new diverse audience elsewhere is no contest. Photo of Elbphilharmonie via NDR, Marten Coltrane 3s via manufacturers website, St Andrew's Hall via Norwich Evening News, and Saffron Hall via Saffron Walden Choral Society. Any copyrighted material is included as for critical analysis only, and will be removed at the request of copyright owner(s). Also on Facebook and Twitter. These people aren't operating in the real world. 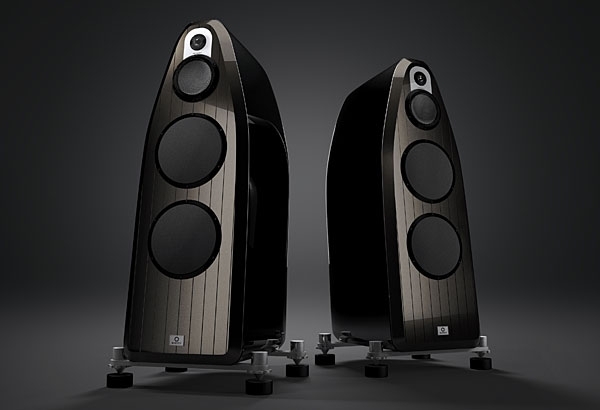 How many people, even great music lovers, have $100k sitting around for a pair of speakers, or even $7k for so-called "Class C" speakers? Sorry, but my almost 20-year old $1500 Bose system is perfectly acceptable to me. Perhaps my ears just aren't refined enough to understand the need for $100k speakers. EmitFlestKY, no problem. Your 20-year old $1500 Bose system is your personal $1025m because your brain's psychoacoustic compensation properties are doing their job. For £100,000 I would put up with the RFH or Barbican. But would the experience be the price of the ticket, say 50 *2000 times better? It depends on whether the basic information is there. Whatever the acoustic, the data is there. In any recording, especially CD, it is attenuated.